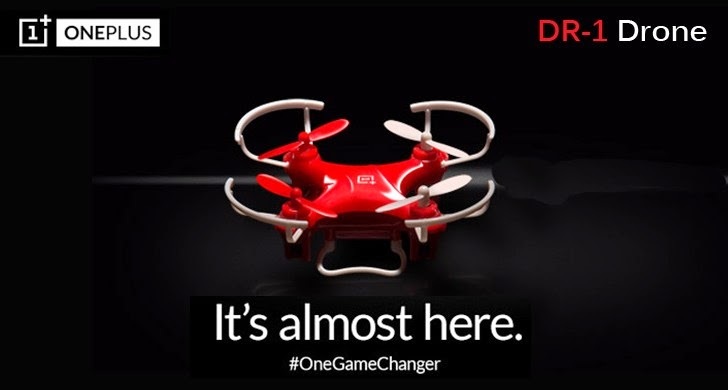 Chinese smartphone maker OnePlus who recently announced that the company is planning to launch its latest flying drone, OnePlus DR-1, saying it would be a "Game Changer." There have already been some speculations about a drone from OnePlus circulating on the Internet, but now the company has confirmed during a Reddit AMA (Ask Me Almost Anything) session that OnePlus DR-1 (aka DR-ONE) will land on its online store next month. OnePlus also posted a Vine video on Tuesday with the caption "Feeling adventurous? The DR-1 is flying to our store next month. #OneGameChanger." The six-second short video did not give much information about the new drone, but it hints more or less that the company is working on a drone. The product page of DR-1 sectioned impressive lines such as "innovating a whole new way of thinking about drones" and telling users to "experience the next age of aviation technology with effortless transportation and storage" with this tiny 70mm-wide flying machine. You may have caught by now that OnePlus DR-1 is an April Fools' day prank, but the company has turned its prank into pretty much reality by actually selling the tiny quad-copters, which will be available in limited quantity for just $20 (about AU$25 or £15). HA! The so-called game changer actually came out to be a tiny quadcopter, which is about half the size of the OnePlus One. DR-1 is a red-colored plastic chassis with four blades and features ultra-bright orientation LEDs. It fits in the palm of your hand and comes with an Infrared (IR) remote controller that has dual flight mode settings. So, it seems like you’ll not be able to use your phone to pilot DR-1, the controller is used to do so. So if you act fast, there is a chance for you to grab one from the company's website, which will be shipped only to a US address.